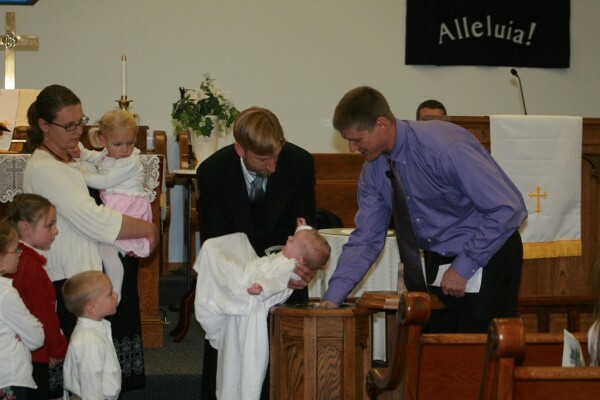 Now that our church is officially Associate Reformed Presbyterian, our pastor is ordained and we’re a congregation of a larger denomination, Charlotte was baptized yesterday. She was exhausted and a little fussy, but there was no screaming, thankfully. And we didn’t have to do two at a time. *Just an FYI, we rent space from another church. The decorations in the church are, umm, not ours. ← I’ve lost my memory.